The ASLA Fund is the 501(c)(3) charitable foundation of the American Society of Landscape Architects, supported by the tax-deductible contributions of ASLA members and other individuals and organizations, and committed to the careful stewardship and artful design of our cultural and natural environment. The Fund’s mission is to expand the body of knowledge of the landscape architecture profession and increase public understanding of environmental and land-use issues and principles. 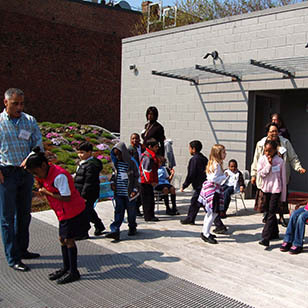 Its work supports public and professional education and outreach, professional and student awards programs, and special projects that provide real-world demonstrations of core values like the ASLA Green Roof and Chinatown Green Street. The ASLA Fund is administered by ASLA’s chapter trustees and its elected officers. ASLA’s executive vice president serves as its president, and the immediate past-president of ASLA serves as its Chair.